Monday 24 June 1850 was a significant day in the history of Pendeen. The parish, initially and not very imaginatively, called North St Just, had been created in 1846 by separating it out from the Parish of St Just. The new parish was obviously too much for the local press to handle for when the Royal Cornwall Gazette reported on the laying of the foundation stone of the parish church it reported the event as “Laying the Foundation Stone of a new Church at Pendeen in the Parish of Saint Just”. The foundation stone was laid on 24 June 1850 by Samuel Borlase of Castle Horneck, a man whose family fortune largely arose from the St Just and Pendeen tin industry in which his ancestor, John Borlase, had successfully invested back in the 17th century. 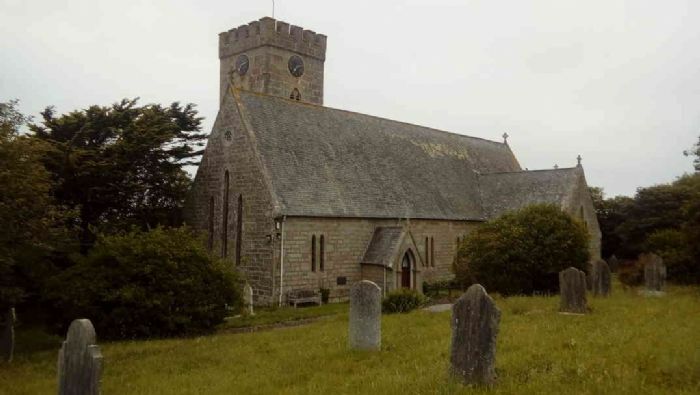 The Gazette estimated that some 3000 people were present at the ceremony which was was the first step in the construction of the Church of St John the Baptist which still stands in Pendeen today. But this was not Pendeen's first parish church. That honour goes to the temporary timber church which was constructed in 1849 and whose first service was conducted on 24 June of that year. The timber church stood where the school playground now is and it was in this temporary structure that the laying of the foundation stone of the new permanent church was celebrated just a year later. The new parish was clearly in the hands of some dynamic and motivated people and chief among them was the Reverend Robert Aitken, the parish's first incumbent. Towards the end of his life Aitken recorded that he was on the verge on turning down the offer of the Parish of Pendeen and would have done had not the parishioners, divining his intention, signed a petition calling upon the Bishop to do all that he could to ensure that Mr Aitken did not take himself back to to Scotland. Armed with the petition and the hopes of the parish the Bishop was successful, Robert Aitken came to Pendeen and with the help of the people of Pendeen he undoubtedly left his mark. The church of St John the Baptist is very much the church of Robert Aitken and his parishioners. He acted as architect, basing the plan upon the church at Iona, and they built it: cleared the ground; quarried the granite; cut the timber; made the furniture and fixed the slates. Robert Aitken must have been a man with a forceful character, his crenellated church yard walls certainly suggest such a man. It's not everyone who can persuade men who have just worked anything up to 12 hours underground to then start work again to build their own church but with Aitken's motivation that's what the miners of Botallack, Levant, North Levant, Spearne Moor, Boscaswell United, Boscaswell Downs, Wheal Bal and Wheal Carne did. Between them the miners and farm workers of the parish produced a unique monument not only to their faith but also, very clearly, to their “One and All” spirit. 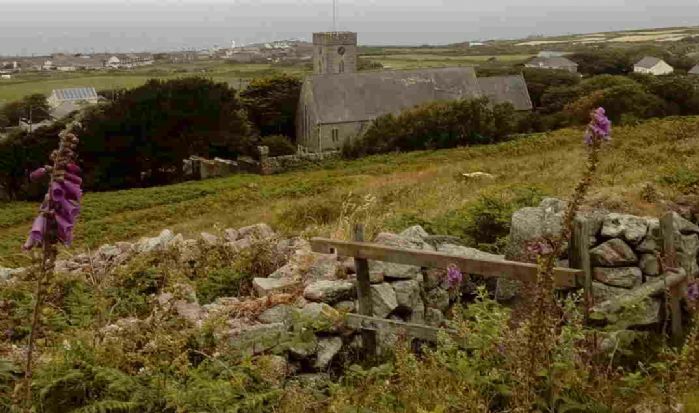 The Parish of Pendeen was created by the tin and copper mining industry, its church was created by the people of the industry and the human cost of the industry is cut into the stones in the graveyard which surrounds the church. Today the church of England has all but lost its role in society but the parish church remains as a window into the the past for anyone who cares to look through it. Last but by no means least, the church itself.